Club Penguin Times Newspaper Issue #426! 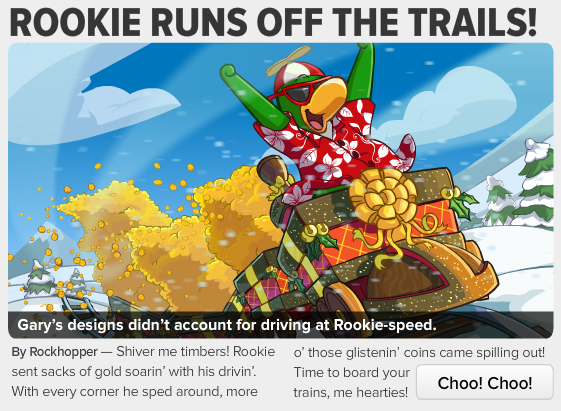 If you click "Choo! Choo!" then you will be able to read more. 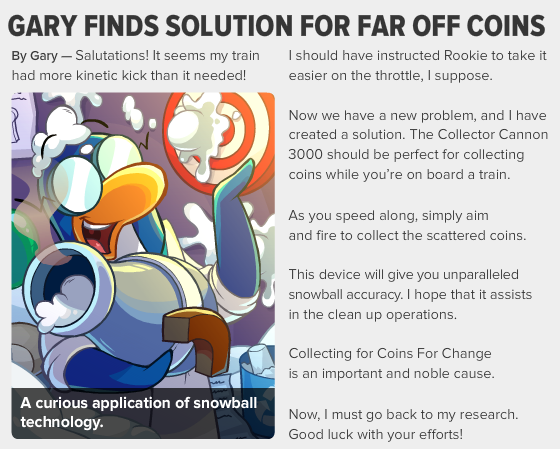 Then it talks about Gary finding the solution for far off coins. Then there is some pretty cool upcoming events! After that there is a comic that Club Penguin has added to the newspaper. 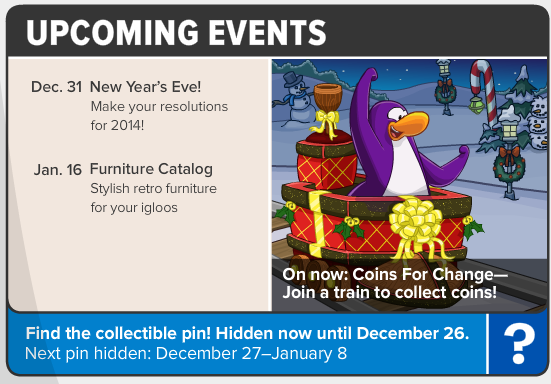 Also this weeks secret is about how much coins as possible to donate for Coins for change. I really enjoyed reading the comic! What was your favorite part? Let us know in the comments below!